Rice is, according to the USA Rice Federation, the most commonly used grain in the world. 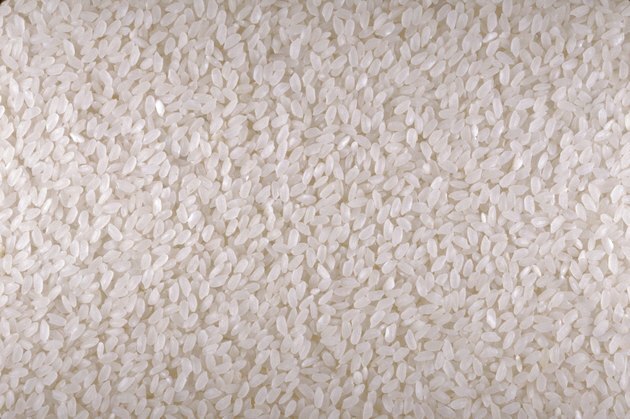 Found in nearly every culture, rice is low in fat and calories and in its brown variety, a nutritionally dense food. Rice can be prepared in a variety of ways, generally beginning with a dip in boiling water to soften the grain and release the nutrients. Adding flavor to cooked rice is easy because the grain absorbs herbs, spices and liquids readily. Overcooked rice can however, pose a health hazard that includes nutrient depletion and increased risk of cancer. Amino acids are the foundation for proteins and come of these nutrients are produced by your body while others must be consumed from the foods you eat. Nutritionist Nancy Appleton of the American Holistic Health Association explains that overcooking any food can destroy amino acids, rendering them useless to your body. Overcooking destroys bonds between molecules, significantly depleting the nutritional value. This can lead to deficiencies of essential amino acids such as tryptophan, which is used for sleep regulation. Cooking rice makes the grain more digestible but overcooking has the opposite effect. Cooking rice for too long at high temperatures destroys enzymes in the grain that facilitate digestion. While enzymes also exist in your digestive tract, many foods also contain their own specific enzymes, specifically to help the digestive process. The process of destruction of the bonds in amino acids is known as denaturation, according to Elmhurst College. This process is also used to sterilize medical instruments, by destroying remnant amino acids from contact with skin. Essential vitamins such as thiamin or vitamin B-1 are easily destroyed by overcooking. Vitamin B-5, also known as pantothenic acid, is also susceptible to destruction with overcooking, according to the Massachusetts Institute of Technology. Many of the B vitamins are similarly affected by overcooking and these vitamins are needed for processes like metabolism and energy production. Consistently consuming foods that are overcooked like rice can lead to a deficiency of B vitamins as well as other nutrients. Overcooking any food doesn't simply destroy molecular structure, it can set the stage for the creation of new and potentially dangerous structures. The amino acids in overcooked rice can form a substance known as acrylamide. Acrylamide is a known carcinogenic compound, despite its natural origins. Production of acrylamide begins at approximately 120 degrees Fahrenheit, according to the National Cancer Institute. Dietary intake of this substance has been associated with increased risks of cancers of the mouth, bowel, breast and ovaries. American Holistic Health Association; How Cooked is Too Cooked? ; Nancy Appleton, Ph.D.